Any information which you provide to us on the website or otherwise is used for such purposes as fulfilling orders, responding to requests, improving our product offerings, communicating with you and statistically analyzing site usage. You can choose not to provide certain information, but then you might not be able to take advantage of some of our features. Like most websites, we use "cookies" to collect certain types of information about you. The "help" portion of the toolbar on most browsers will tell you how to prevent your browser from accepting new cookies, how to have the browser notify you when you receive a new cookie, or how to disable cookies altogether. Certain features may be only available through the use of a cookie. 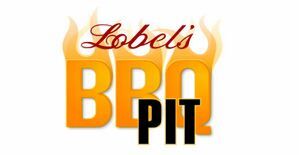 Lobel’s of New York confirms every purchase and shipment with an e-mail to every customer with a valid e-mail address. From time to time as necessary, additional e-mails may be sent to the customer to confirm details of a specific transaction. 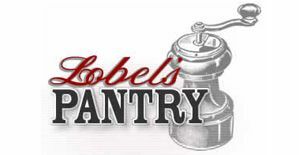 In addition, Lobel’s of New York sends periodic e-mails to members of Lobel’s Culinary Club. 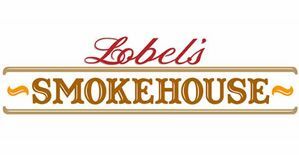 Each membership in Lobel’s Culinary Club is confirmed by a double opt-in process. Furthermore, each Culinary Club e-mail allows members to unsubscribe by automated or manual processes. Members are able to unsubscribe at any time. Our promotional email program is fully compliant with CAN-SPAM legislation. Agents: We employ other companies and individuals to perform functions on our behalf, such as delivering packages, sending mail, processing credit card payments, and providing customer service. They have access to personal information needed to perform their functions, but may not use it for other purposes. Business Transfers: As we continue to develop our business, we might sell or buy stores or assets. In such transactions, customer information generally is one of the transferred business assets. Also, in the unlikely event that Lobel’s of New York, Inc., or substantially all of its assets are acquired, customer information will of course be one of the transferred assets. Legal Protection: We release account and other personal information when we believe release is appropriate to comply with law; enforce our agreements; or protect the rights, property, or safety of Lobel’s of New York or others. We do not knowingly collect or use personal information from children under 13. If you are under 13, you should not submit any personal information to us and you may use Lobel’s of New York only with your parent or guardian. If a child has provided us with personal information without parental or guardian consent, the parent or guardian should contact us to remove the information and opt out of promotional opportunities. For more information about the Children's Online Privacy Protection Act (COPPA), visit the FTC website: www.ftc.gov. To update, correct, or delete your personal information, you can contact us by calling our administrative offices at 585-328-0420, by email, or by writing to Lobel's of New York, 250 Mill Street, Rochester, NY 14614.